Hoyle, Tanner is seeking qualified candidates for an Entry Level Civil Engineering role in our Portsmouth, NH office. Hoyle, Tanner is a growing and dynamic planning and engineering firm with offices throughout New England and Florida. Our reputation is one of quality service delivered on time, on budget, and with dedication and loyalty to our clients. We have opportunities for professionals who share our commitment to provide innovative, collaborative and sustainable solutions to the challenges our clients face, while enhancing the communities in which we work and live. At Hoyle, Tanner, we believe we are our best when we work as a team! Our advocating for work-life balance includes flexible time, positive and supportive relationships, and collaborative work environments. As an industry thought leader, we continually strive for excellence while inspiring creativity and innovation to grow and develop our people. Assist with the preparation of plans, calculations, specifications, reports, drawings and other project related duties relative to projects including site design, transportation, roads, drainage, utilities, and construction observation (working knowledge of AutoCAD will be important to be successful in the role). Participate in preparation for Planning and Zoning Board Meetings. Perform administrative duties relative to permitting, abutters, municipalities, and other clients. The successful candidate will be a team player with a can-do attitude and have an inquisitive personality allowing them to gain useful knowledge in the field of civil engineering. 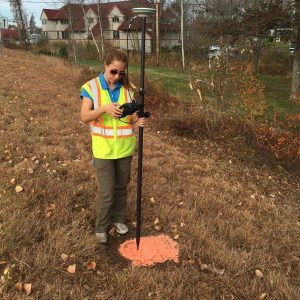 Hoyle, Tanner is looking for a positive, outgoing, work-smarter-not-harder, licensed civil engineer to join our Land Development Group working in our Yarmouth, ME and Portsmouth, NH offices. Hoyle, Tanner is a growing and dynamic planning and engineering firm with offices throughout New England and Florida. Our reputation is one of quality service delivered on time, on budget, and with dedication and loyalty to our clients. We offer a competitive benefits package including health, dental, vision, 401k, and tuition reimbursement. Hoyle, Tanner promotes a healthy work/life balance through flexible schedules and encourages community involvement. If you are creative, have a “big-picture” mentality, are really good with math and enjoy working as part of a team, then read on for more details of the open position! Hoyle, Tanner is looking for a positive, outgoing, work-smarter-not-harder, licensed, mid-level civil engineer to join our Land Development Group in our Yarmouth, ME and Portsmouth, NH offices. Prepare plans, calculations, specifications, and other project related duties relative to projects including site design, transportation, roads, drainage and utilities. Meet with clients to: build a presence, develop long term relationships, facilitate project development. Prepare for, attend, and present at Planning and Zoning Board Meetings. The successful candidate will be a team player with the ability to work, think, and solve problems independently and will be a confident public speaker.